sector including turn - key Industrial and IT Projects. Prime SD Eengg. Con. Ltd.
Prime Harness Systems Pvt. Ltd.
PCI Asia Pacific Pvt. Ltd. In the new era of Information Technology where the Indian business and technological scene is emanating through a process of metamorphosis Prime Group with its penchant for excellence, keen commitment, top of the line capabilities and access to the state-of-the-art technology is touching wider horizons through a broad spectrum of experience and all-round activities. With more expansions, collaborations and international accreditations on the lines of ISO Standards, Prime Group is continuously pursuing its leadership goals by turning opportunities into realities and "LOOKING BEYOND TOMORROW". Honorary Consul of Guinea-Bissau in India H.E. Padma Shri Mr. Surinder Mehta (Chairman, Prime Group of Companies) with Hon’ble President of India, Mr. Ram Nath Kovind on the occasion of Independence Day ”At Home ceremony” held at Rashtrapati Bhawan on 15th August, 2017. 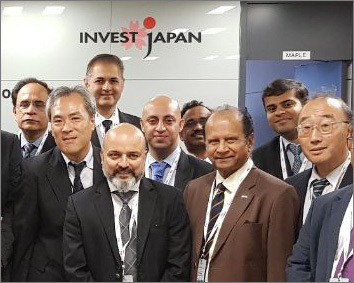 Mr. Rohan Mehta at Tokyo on 4th Sept., 2017 as a member of Ministry of Defence & FICCI delegation together with officials of JETRO, Japan. Honorary Consul of Guinea-Bissau in India H.E. 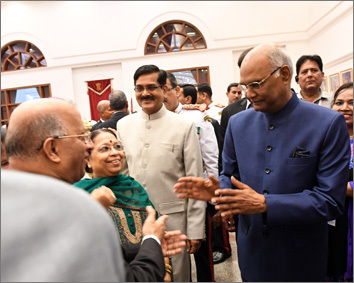 Padma Shri Mr. Surinder Mehta (Chairman, Prime Group of Companies) and his wife Mrs. Archna Mehta with Hon’ble President of India, Mr. Ram Nath Kovind at Rashtrapati Bhawan (Durbar Hall) on 27th October, 2017, to pay flower tributes at a special ceremony to mark the 96th Birthday of former President Mr. K.R. 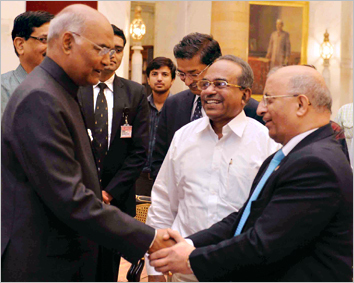 Narayanan, the 10th President of India (1997-2002). 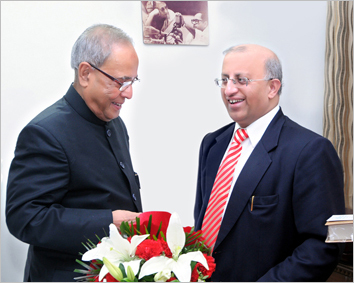 Prime Group Chairman Mr. Surinder Mehta congratulating Mr. Pranab Mukherjee on becoming the 13th President of India. PEL Asset & Infrastructure Ltd.
Prime SD Engg. Consultants Ltd.
Skymaster Aviation Adventures Pvt. Ltd.
PCI Leasing & Finance Ltd.